I guess this blog might be continuing that theme in a way. It’s about social networking. Only, this time, I want to pick your brains. 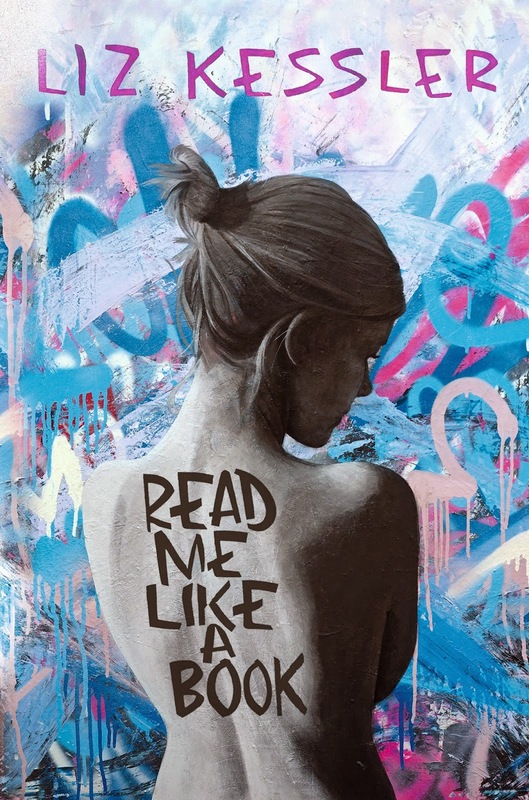 Next May, I make my YA debut with my novel Read Me Like A Book (which, incidentally, I just received the bound proofs for, and I am completely IN LOVE with this cover, designed and painted by my very talented artist friend Joe Greenaway. This book is HUGELY important to me and I want to do everything I can to give it a good send off into the world. Because this is a brand new tack for me, I’ll be doing a lot of things differently. I’m already fairly active on Twitter and Facebook – and I do my monthly blog here – but there are all sorts on online hangouts that I know almost nothing about – and I think it’s time to get educated. Currently, I use my author page on Facebook to write about my books, post lots of photos of sunrises and my dog and the sea, and have lovely chitchat about mermaids and faires and time travel, mainly with my readers, their parents, a few librarians and a bunch of supportive friends. On Twitter, it feels much more about chatting with my writing peers – other writers, bloggers, bookshop people etc. Think publishing party, only without getting drunk on free champagne and making a fool of yourself in front of the MD. So that’s all well and good, and I enjoy it. But I want to spread my writerly wings. In particular, I want to talk to teenagers – and I don’t know where to find them! Where are you? Where do you hang out? Which are your favourite online haunts? And what do look for or expect from in the different places you frequent? I take a LOT of photos, and should probably be on Instagram. (In fact, I kind of am but I don’t really use it.) I have been told I should get onto Tumblr – and would love to go for it, but every time I glance at it, I feel overwhelmed and bewildered. I’m also kind of half-heartedly on Pinterest, but only so I can look for desks for my new office. And I have got a few videos on Youtube. The thing is, though, when we try to keep up to date with ALL the places, there’s no time left to, well, you know, write the books. Which I kind of need to keep doing. So I don’t want to join them all. But I’d like to pick the best one (or at most, two) new social networking sites and give them a good go. So, help me out here. What should I pick? What do you use? Where are my potential new teenage audience most likely to look for me? Any and all opinions on these questions will be gratefully received. Liz, I have absolutely no idea! The mere thought of all that stuff is exhausting. But I LOVE the cover of your new book. Good luck with this book Liz - I think it will find its way to your audience through word of mouth which is still the most powerful way to reach out. Hot Key - who seem to be quite good at these sort of things - did a session at the London Bok Fair (I think) on networking with teenagers via YouTube book blogs, and I think they put the video of it on their website. You could try there. Tbh though - see my blogpost on social media last month - I'm not sure they necessarily want you there! They are talking to each other, and like most huddles of teenagers in a corner, don't actually want a grown-up to join them! Having said that, Sarah Rees Brennan seems good at attracting teen readers/comments - I think she's on Tumblr. Maybe find her through her website and follow her to see what she does/says/posts. Good luck! Thanks for these thoughts. CJ - yeah I think you're right. I asked my fourteen-year-old niece to try to explain Tumblr to me a few months ago, and she basically spent half an hour telling me why I shouldn't bother!